Where can you stream The Last Ship? On 2014-06-22 Action & Adventure/Drama TV Series The Last Ship first aired on TNT. 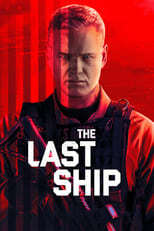 Written and created by Hank Steinberg & Steven Kane, and produced by Channel Road Productions & Platinum Dunes, The Last Ship has ended and last broadcasted on 2018-11-11.